Happy Monday gorgeous girlies! I’m starting my week on a positive note with a new regime… yes, I’ve recently come to the conclusion that my life needs some order and routine! Working from home in the mornings means, the temptation to ‘have a little lay in’ slowly sneaks up on you, and before you know it you’re going to bed at silly o’clock and your morning alarm starts veering alarmingly towards midday [what can I say, I am not a morning person]. So the new regime consists of getting up at the same time as my husband, getting my lazy little bum to the gym and getting back to my desk in time to start the day at 9am sharp. Yes discipline. Me needs me some of that. Anyways, as per usual I’m a tad waffling on. I guess what I’m trying to say is, when organising your wedding [and living your life at the same time] it takes a bit of discipline and organisation to keep everything ticking over. Some of you lucky bridestobe will have this in abundance and others, well organisation and discipline are not our strongest suits! I would love to know what your struggles are regarding the wedding planning, or maybe you’re a super organised bride that wants to share some tips? So what absolute gorgeousness do I have for you today my dears? 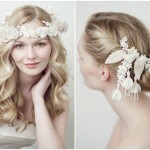 Well, I’m rather squeekily ecstatic to be sharing these beautiful, statement bridal headpieces by Natasha Jane. I give you… The Goddess Collection. 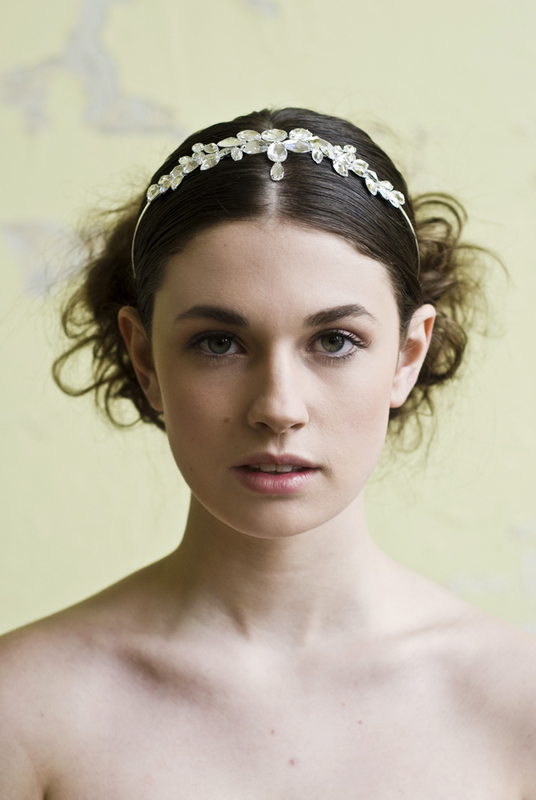 The new bridal headwear collection has been created with greek and pre-raphaelite influences. 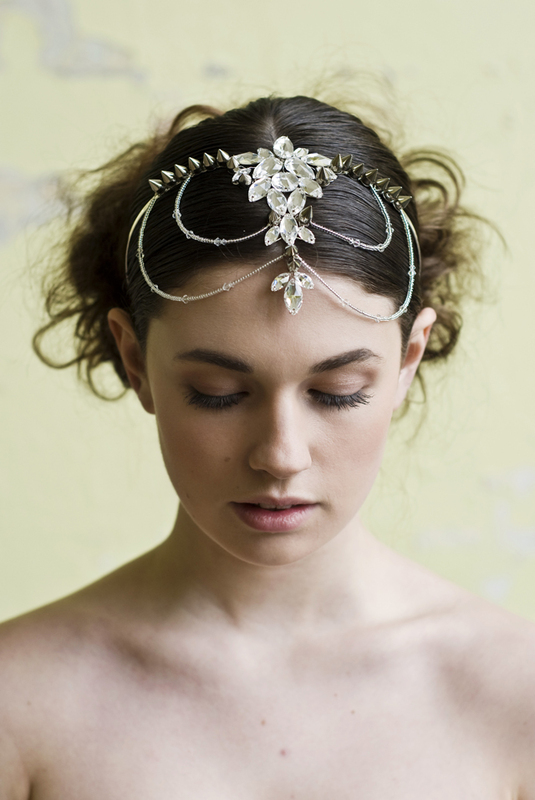 Statement headpieces such as Kalista and Rhea [above] are unique with a touch of luxury, whilst feminine delicate headpieces such as Kari are inspired by Pre-Raphaelite artwork and mythical greek goddesses. 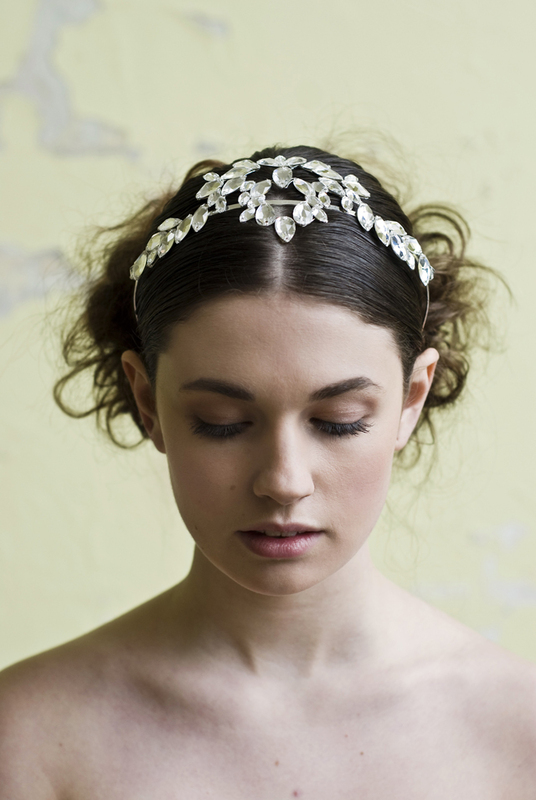 Swarovski crystals, glass beads and metal studding make up this unusual and unique, but equally as stunning collection of bridal headwear. 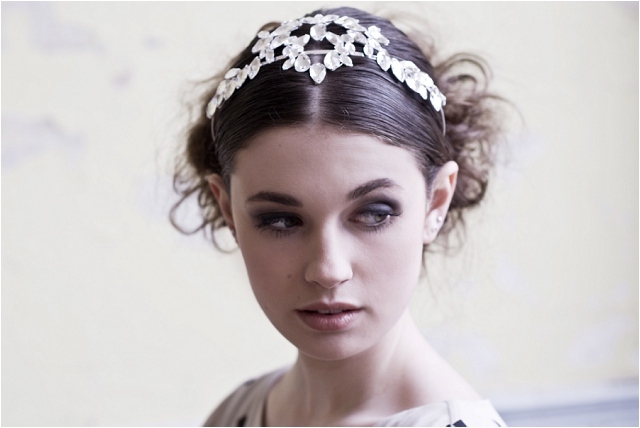 Large flat crystals make up beautiful leaf designs whilst others are created with a little rock chick in mind. 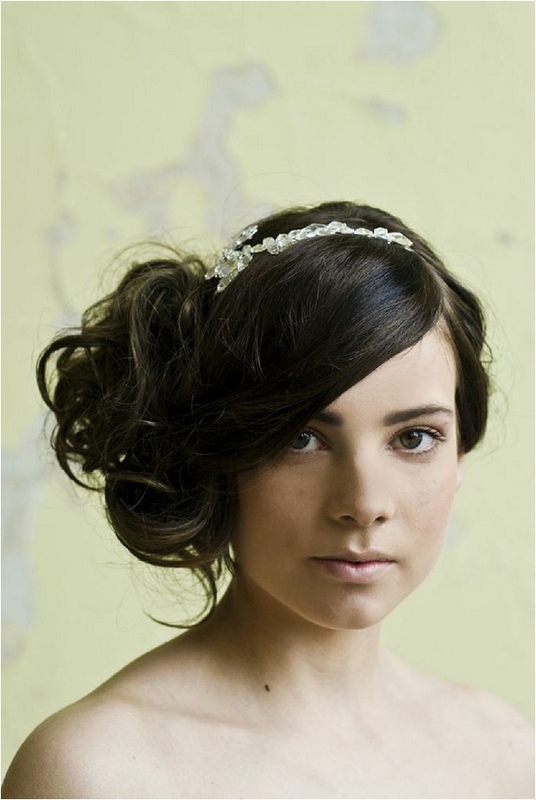 Colours and beading can be altered if required and similar styles can be created for complimenting bridesmaid styles. 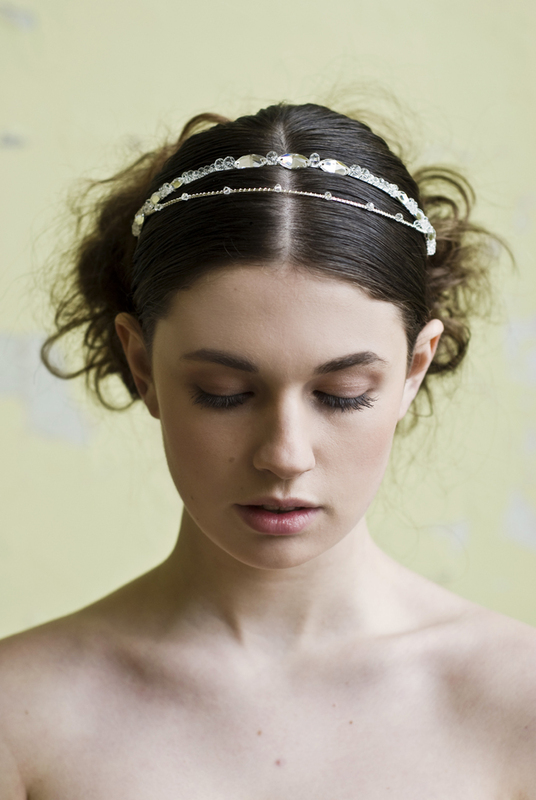 Priced from £210-£405 and available to buy from Natasha Jane as well as selected bridal boutiques. 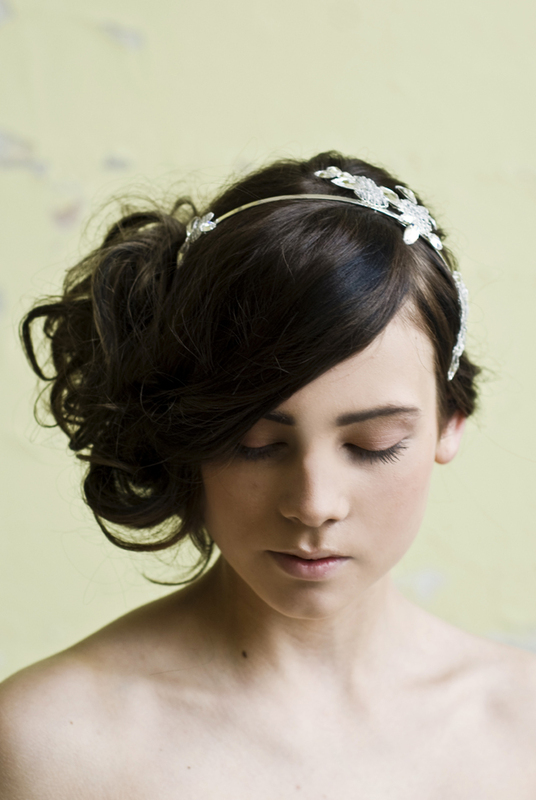 Natasha Jane also offers a bespoke service ideal for creating something unique and tailored to your specific requirements. 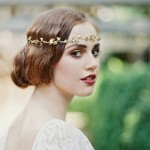 Ladies I am SO excited about this bridal headpieces collection, there is something for every type of bride… but I’ve got to say those statement studded headpieces are rocking my world! You? I’m kind of in love with these! Such great attitude with the spikes one.